Electrical Transformer discusses how units are used to reduce voltage for various day-to-day electrical applications. More than 50 million electrical distribution transformers are located on utility poles and cement pads across the United States and Canada. Electrical Transformers serve the crucial function of transforming voltage potential to a higher or lower values to meet the appliances and machinery voltage level requirements. Improper use, maintenance and neglect can cause heavy losses to businesses as well as to the environment. This electrical transformer training course introduces basic safe operational and field diagnostics of transformers with the focus on safe operation, testing and maintenance of the distribution transformers normally installed in substations and on poles. Students will learn Electrical Transformer Basics – safe and proper maintenance and testing procedures on power transformers. The course covers transformers used in commercial and industrial power distribution systems, including oil and dry-type units. 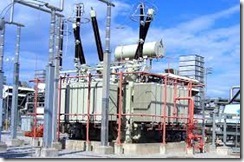 Larger power transformers used in utility applications are also covered. 1. Understand the basic operation of a transformer. 2. Understand turns ratios and calculate terminal voltage and current. 3. Understand terminal markings and various single phase and three phase wiring schemes. (WYE vs DELTA). 4. Understand how to perform a polarity test on a potential transformer. 5. Understand the electrical testing methods performed on transformers such as insulation resistance testing, excitation and power factor testing. 6. Understand the various tests performed on insulating oil. 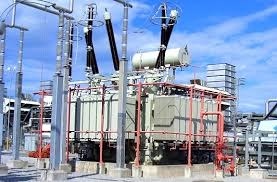 Participants will be introduced to the different types of single and three phase transformers construction, various types of core material, windings layout, connection, tap changers, voltage classifications and transformer applications. This part introduce the fundamental theory behind the voltage and current transformation, winding resistance and impedance calculation, voltage regulation, losses and output efficiency estimation for both power and distribution transformers. Issues such as the influence of saturation, harmonics and power electronic devices on the transformer performance will also be addressed. Day 1 will wrap up by showing how to select transformers for various types of measurement and power transformation including the de-rating ratio calculation. Field and shop technicians, field engineers, supervisors and others responsible for the testing and maintenance of power transformers rated 750kVA to 500MVA and 4.16kV to 500kV.